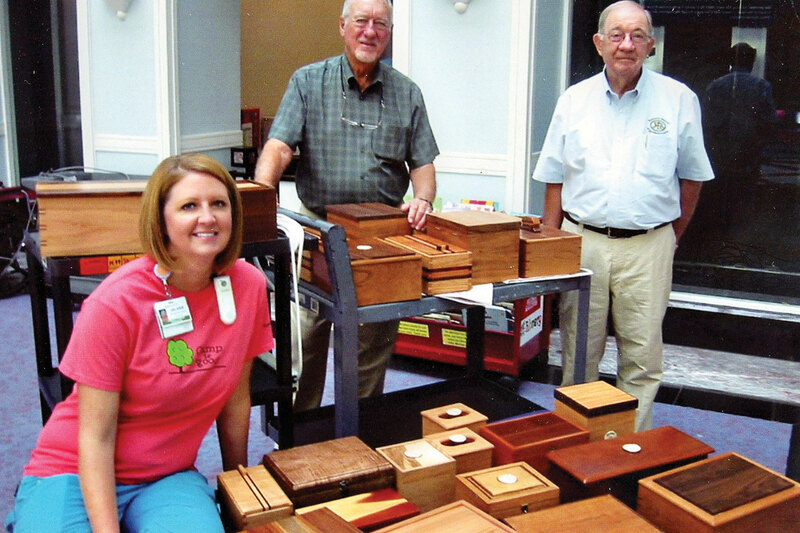 This past July 27, the Robson Ranch Woodworkers presented 25 handmade boxes to the Cook Children’s Hospital in support of the Beads of Courage program. 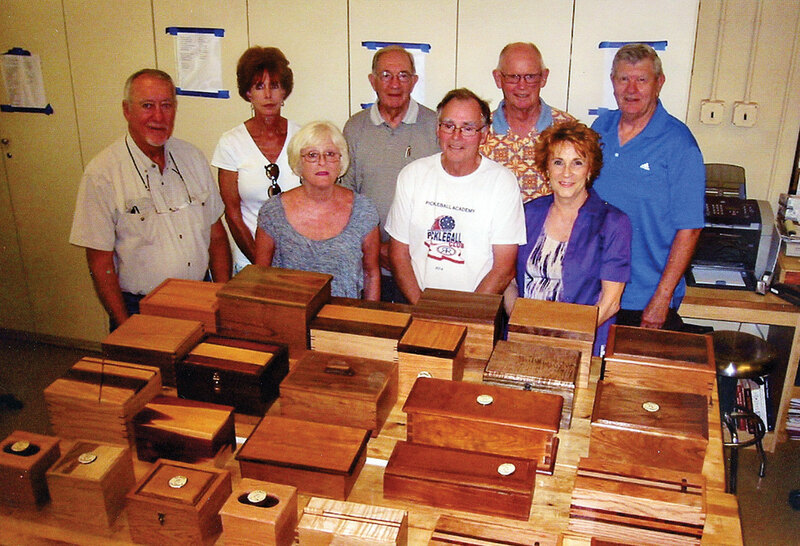 For the past three years members of the Ranch Woodworkers Club have made boxes for participating hospitals. For the past two years we have delivered boxes directly to Cook Children’s Hospital in Ft. Worth. This program is set up for children with major medical problems including cancer and heart problems. Each time a child receives treatment, they are awarded a bead for their courage. The beads are of various colors, each indicating the different types of treatments. Some of the children accumulate a vast number of beads. These beads represent the endurance and courage of the children during their treatments. The children string them together to make bracelets, necklaces and any other way they may think of to display them. The boxes we provide give them a place to store the treasured beads. The hospital coordinator selects each box for the child to fit their personality, gender and number of beads accumulated. We can only pray the boxes will give them hope and the courage to never give up.